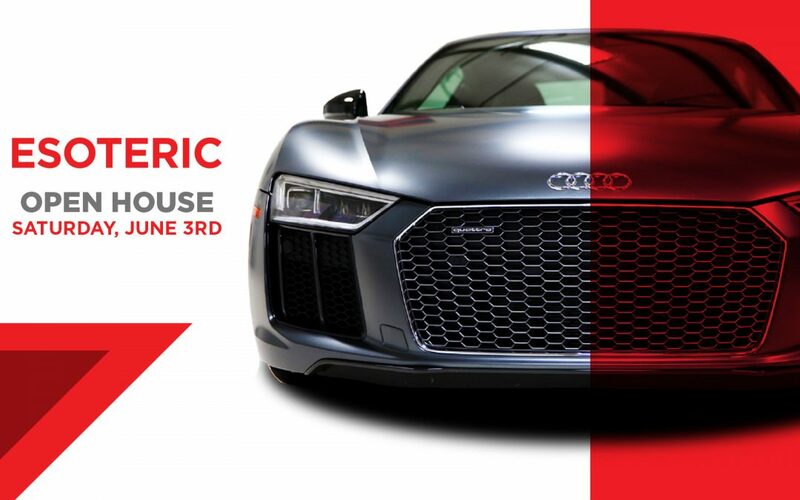 The annual tradition continues in New Albany as ESOTERIC – Fine Auto Finishing hosts an open house on June 3rd, 2017. There will be a wide range of cars, products, manufacturers and industry experts on hand. Auto-enthusiasts of all makes and models are welcome to experience product demos, how-tos, car care prizes, and more! And for those who like car-spotting, we always have a great collection of high-end vehicles show up at our events.